Since 1994, following a 30-year period of war and internal conflict, Cambodia has rebuilt itself. Although it remains one of Asia’s least developed (and youngest) countries, Cambodia’s progress in reducing poverty and improving health has been remarkable. 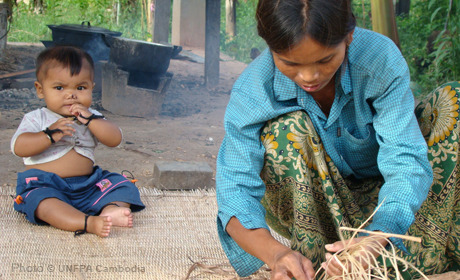 Even with 80 per cent of Cambodians living in rural areas, the country has managed to dramatically reduce maternal and infant mortality. Continued investments in the health, education and opportunities of the large population of young people could help the country realize a substantial demographic dividend. PHNOM PENH, Cambodia – At 16 years old, Svet is struggling with the challenges of motherhood.